Very good frame trap pressure. Large number of gimmicks to surprise your opponents. In the air you will generally want to try to be under your opponent. 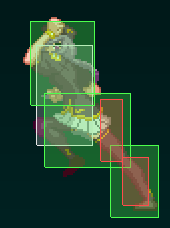 j.c is her best air normal overall and rarely loses to anything above her with this move. If your opponent if in front and below you j.b is your go to move. It has a hitbox that will throw off most opponents because it doesn’t look like it hits where it hits. j.a is her fastest normal and your go to when the opponent is too close to get out j.b but is below you. Its also good to use rising and an instant j.a will hit most characters standing on the way up and is what you want to use if the opponent is close to you and in front of or below you since it is faster than j.b. If the opponent is directly below you j.2c beats a lot of options that aren’t shield. On the ground you will be trying to dash up and 5a or 2b if your opponent is also on the ground. 5a is good because it’s decent at catching jump outs. 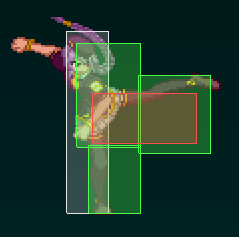 She doesn’t have a great anti air game but her DP is good for scaring predictable players and if you can time it the 2nd hit of her j.c has a really good hitbox. Throwing out the occasional 214a is good as well because it is low and it will immediately swing momentum in your favor and start your offense. It also pisses off zoning characters like Nero and fAkiha. Overall you will be neutral jumping and drifting people into range of your j.c or air dashing at fools with j.b to get to offense which is her strongest point. Dashing at your opponent is good sometimes because of her good run speed. 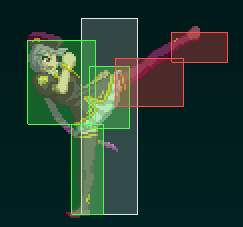 j.b: Has a deceptively good hitbox. People will not expect this to hit where it hits. Master this move and your opponent will be spooked. j.c: A fast large air normal. Very hard for most characters to beat while above Sion. You’ll generally use this in neutral over j.b due to its speed and area coverage. j.2c: A large downward swipe. 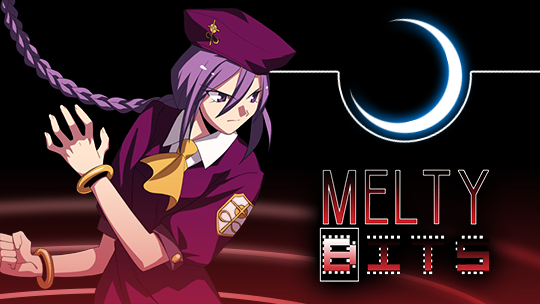 Its very slow but has a great hit box and great for tagging people under you or trying to anti air you. 214a: The bane of Zoners. One of the best knockdowns in the game. You can safely heat or reload after this and still have time to meaty. Also hits low. 214b: Has a much larger hitbox that 214a but is much slower. Used as a combo filler in some combos or as a dangerous anti air. It’s not as good vs zoners due to the slow speed but you get a combo if it lands. It is also low invulnerable so if you got that read you can freak people out with this move. j.214a: A downward air slide that will grab opponents that are on the ground if they are not blocking. 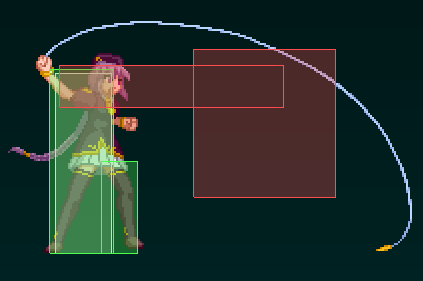 Beats a lot of anti airs and is good to use to alter her trajectory as there is no landing recovery. + on block unless you hit your opponent’s head while they are standing. j.214c: This move will put the fear of Sion into people. It will grab people out of the air and on the ground. It is very fast to start up and for a few frames the opponent is frozen. Use this to make people scared to be under you and doing something. It is also used as a tech punish in the corner. Sion has very good frame trap pressure and decent standing mixup. You will be forcing people into bad decisions as Sion with 236[b], 5c6c, and varied rebeat pressure until they start respecting or disrespecting you. If they start respecting you go for mix-up with throws and 6b overhead and maybe even fuzzy guard if you’re super confident they will sit there for it. If your opponent is disrespecting you the game gets a bit harder. If your opponent is mashing or jumping dashing back in after your frame advantage with 5a 5c will beat both options if you time it right.If your opponent is backdash happy 5/2a 2c will option select this as a block-string or hit them if they backdash. 236c to pick up OTG if they’re far away, 236a 1 shot if close enough, and 214a if you have no meter. 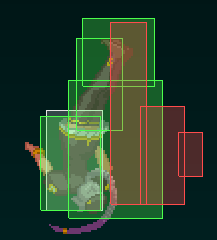 If your opponent is using reversal during your frame traps you just have to read and block. 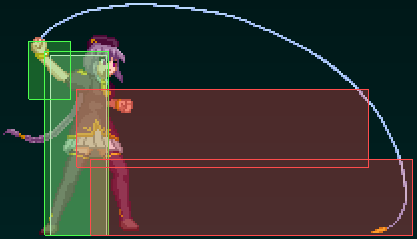 If you correctly guess a punishable reversal start your combos with 5b as it is her strongest non jumping starter. If you land a 214a knockdown you want to go for either IAD or super jump j.214a left right mixups. If you end a combo with an air combo in the corner you are going to have to learn to react to your opponent teching. j.214c will punish back/neutral tech. You can’t punish forward tech but you can mix up which side you land on depending on how you end your air combos. This is determined by jumping forward or straight up before you air throw. 6b: Your standing overhead. No longer low invulnerable. Has a decent range so you can use it to outrange some characters reversals. 5c: 2 hit normal. Mostly used as her hit confirm. The 2 hits makes it easy to see if you hit the opponent standing or crouching. If you are feeling super confident the 1st hit will catch people in the air behind you and the 2nd hit has a really good anti air hit box. The only problem is it doesn’t have many active frames and is rather thin. 6c: Generally only used on offense to go into 4c for frame advantage. It is special cancellable so you can mix up 421 slides to get back in as well. 4c: usable only after 6c. Pulls the opponent back towards you and is +7 frames. 421b: A farther sliding version of 421a. 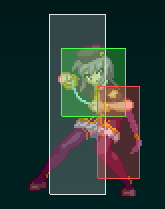 It doesn’t go through people but Sion loses everything but her collision box halfway through this move so you can use it as a crazy reversal sometimes. Mostly you will use it as a sort of cancel to move back in on the opponent. j.214b: A slower start up version of 214. Is unblockable. You will rarely use this as it doesn’t lead to anything and will put the opponent outside of the corner but can be good to catch people off for that last hit. Not a place you want to be but…. She arguably has the best DP in the game with 623b but outside of that it comes down to using system mechanics and smarts. You will have to learn matchups to know when openings are during your opponent’s pressure. 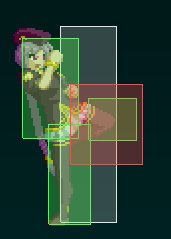 Her normals aren’t good for mashing out as they don’t have big boxes to catch random stuff. She has some good gimmicks to get out of pressure though. 421b completely removes Sion from the game pretty much for a few frames. You can’t be thrown and you will go through moves if you get the timing right. You will die if you use this wrong. 214b is low invulnerable and can beat out badly timed sweeps. You will die if you use this wrong. If your opponent is being jump happy and flying above your head dashing out is a good option because it has fast startup. Jumping out is an option anyone can use so it of course applies to Sion. Jump out j.a is good as described in the neutral section. If you get an anti air shield the easy follow up is 5a 5c. The swag counter hit follow up after shield is 5a CH 214b. Her shield bunker is only to ever be used to beat multi hit moves. Its slow to start up and has a long reach but does nothing to people in the air. j.a: A fast downward kick that is used when the opponent is in your face or you need something faster than j.b.
623a: High Invulnerable and EX cancelable. 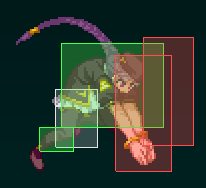 Unfortunately all of Sions EXs on block are negative but if you get a hit with this move you can cancel into 214c for a combo. 623b: Arguably one of the best reversal in the game. Fast, Invulnerable until it’s active. Hits behind her. Air unblockable. Does 2000 damage. What’s not to like. Fuzzy guard: Super low j. [c] jb j.2c land 2b 3c combo. Youtube mixup: Swag corner combo. instead of 236 you do 623b to get 421a/b slide. Hold up to jump immediately after the slide and drift to the left or right. 421a: A short crouching slide into an upward kick. Can be used as an anti if your godlike at spacing as its jump cancelable on hit. You can hold it down to feint the kick. 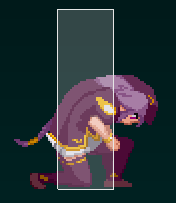 If you do the feint Sion will slide through her opponent if close enough as the move removes even her collison box. For those interested. A old video I put together that displays combos and tech in this guide.